Last year, the Irish Government announced the end of the controversial “Double Irish” corporate tax scheme. ‘Double Irish’ was a tax avoidance scheme that was particularly attractive to overseas companies as it allowed them to greatly reduce their corporate tax liability from exploitation of Intellectual Property by taking advantage of the difference between Ireland’s corporate tax rate of 12.5% and lower or nil rates in offshore jurisdictions. Companies were able to do this by shifting profits from a substantial Irish resident corporate entity to an Irish corporate entity tax resident offshore. Even though the Irish government announced that it will modify Ireland’s corporate tax regime to make ‘Double Irish’ redundant, Ireland will still be one of the most attractive and stable countries to locate Intellectual Property portfolios, particularly if these portfolios comprise European Soft IP rights such as Community Trademarks and Registered Community Designs. This article seeks to show why, leaving tax reasons aside, Soft IP owning businesses should still consider Ireland as a location to manage, enforce and exploit Soft IP rights. Ireland is a Member State of the European Union. Ireland is one of 28 Member States of the European Union, having joined in 1973. The European Union is the world’s largest single market with a population of 500 million people. It is a loose confederation of sovereign European Member States and its single open market generates 20% of global GDP in terms of purchasing power. Exporters of branded products and services into the European Union would therefore be well advised to implement comprehensive strategies to ensure that their trademarks and designs are fully protected and managed within the European Union in a cost effective and tax efficient manner. As an integrated Member State of the European Union, Ireland is one of the most attractive Intellectual Property Holding company jurisdictions, especially for businesses in other English speaking Common law countries. Ireland is the only official English speaking country within the Eurozone. The Eurozone comprises 18 Member States of the European Union which have adopted the EURO as their currency. Ireland is the unique position to be the only official English speaking Member State in the Eurozone. This is significant because the European Union Trade Marks and Designs Office (OHIM) and other bodies of the European Union only deal in EUROs. Irish originated payments made to and received from institutions and bodies of the European Union are therefore not susceptible to exchange rate risk and currencies transaction fees, unlike payments made to and from non-Eurozone countries. This also has an advantageous bearing in relation to contentious matters brought before courts in Eurozone Member States by Irish incorporated IP holding companies. Ireland has a 1500 year old tradition of protecting Intellectual Property. The tradition of protecting Intellectual Property in Ireland dates back to the sixth century case involving the Irish saints, Columba and Finnian. St Columba copied a Psalter (a volume containing the Book of Psalms) in the possession of St Finnian and intended to keep the copy. St Finnian disputed St Columba’s right to keep the copy and the matter was ultimately settled before the Irish King Diarmait who held: “To every cow belongs her calf, therefore to every book belongs its copy”. The decision of King Diarmait is arguably the world’s earliest recorded case law on the right to copy and is the genesis of modern Copyright law. Ireland is also a country which has operated under the Common law since its development during the reign of King Henry II in the 12th century. For Soft IP owning businesses based in other Common law countries, Ireland’s Common law legal system will therefore be of particular advantage since many Common law procedures and principles will be followed and recognised by Irish courts. Moreover, and unique with the European Union, Ireland is the only Common law country within the Eurozone whose courts hear and determine cases in English as a matter of course. Ireland’s Commercial Court was established in 2004 and is now one of the most efficient and technologically advanced in the European Union. The Commercial Court deals with all types of Intellectual Property disputes, regardless of value. Significantly the Court is designated as a Community Trade Mark and Designs Court and can therefore hear disputes relating to the European (CTM) Trade Mark and European Designs. Typically, it only takes 6 weeks from the issuance of proceedings for a case to be listed in the Commercial Court List for hearing. The Commercial Court has strict Case Management procedures, which ensures speedy and efficient processing of disputes. On average, 50% of cases brought before the Irish Commercial Court have concluded within three to four months. Further development and advances in the determination and ultimate resolution of Commercial cases have occurred with the creation of the new Court of Appeal. The court was created following a referendum and its purpose is to reduce the backlog of appeals to Ireland’s highest court, the Supreme Court. Ireland is the only Common law jurisdiction in the European Union with judicially recognised written Constitutional protection for Intellectual Property Rights. Ireland has a written Constitution and this has two very important and significant provisions which protect property rights. Article 40.3.2° not only protects the property rights of individual citizens, but also corporations domiciled in Ireland. Article 43.2.1° further prohibits the State from passing law abolishing the right of private ownership or the general right to transfer, bequeath the private ownership of external goods. As far as the Irish courts are concerned, Intellectual Property rights secure the same Constitutional protection as real property. This has been confirmed in two Supreme Court decisions. Phonographic Performance (Ireland) Ltd v Cody (1998) – established that Constitutional protection can extend to intangible rights and Re Article 26 and the Employment Equality Bill 1996 where the Irish Supreme Court recognised that the right to carry on a business and earn a livelihood was a property right. Significantly, both Trade Marks and Patent legislation in Ireland stipulate that registered patents and trade marks are deemed to be property rights. Therefore, by implication, registered patents and trade marks enforceable in Ireland fall under the protection of the property provisions of the Irish Constitution. Ireland is also a signatory of the European Convention on Human Rights and is therefore bound by decisions of the European Court of Human Rights. In the case of Van Marle v Netherlands (1986), the European Court of Human Rights recognised that goodwill of an accountancy practice and a claim for damages in tort were both respective possessions for the purposes of Article 1 of Protocol 1 of the European Convention on Human Rights. By virtue of its membership of the European Union, any Intellectual Property rights owned by Irish companies also secure protection under Article 17 of the European Union Charter of Fundamental Rights, which explicitly protects Intellectual Property. The Charter is automatically binding on all EU Member States, including Ireland. Business that own European Union Trade Marks (CTMs) and Designs (RCDs) and which are not domiciled or established in the European Union are likely to encounter difficulties in enforcing these rights, particularly if an infringer is based outside of the European Union. This is because of the complex enforcement and jurisdiction rules laid down in the regulations with govern the CTM and RCD. One of the most effective ways of overcoming these challenges is to locate European Trade Mark and Design rights within the European Union. For non EU domiciled businesses from Common law countries without an establishment in the European Union, Ireland is arguably the best EU country to locate Soft IP rights in view of its (i) English speaking Common law system (ii) English speaking efficient and IP friendly judicial system and (iii) membership of the Eurozone. Ireland is a signatory to most Intellectual Property conventions and treaties. Ireland is a signatory to 58 different Intellectual Property international treaties and conventions. Notably, Ireland recently ratified into its domestic law the Singapore Treaty on the Law of Trade Marks 2006 and has thus harmonised its administrative Trade Mark law in line with other signatories. In the area of Soft IP law, Ireland has comprehensive legislation which protects both registered and un-registered Trade Marks. Unlike many countries in the European Union, Ireland is a ‘first to use’ country. Provided you can demonstrate goodwill and reputation in Ireland, un-registered rights can be protected under the Common law tort of Passing off before the Irish courts. Copyright law is primarily governed by the Copyright and Related Rights Act 2000. This legislation was enacted to bring Ireland’s Copyright regime in line with technological changes and advances, particularly in the digital sphere. Most works in Ireland are now protected for the life of the author plus 70 years from death. Registered and un-registered Designs in Ireland are protected under the Industrial Designs Act 2001. Registered designs are protected for five year intervals up to 25 years. Notably, Ireland was the first country in the European Union to make a reference to the Court of Justice of the European Union on an issue of un-registered design right. In Ireland, pre 1996 Part A Trademark registrations have statutory immunity from invalidity challenges. Prior to the enactment of the Trade Marks Act, 1996, the Trade Marks Register in Ireland was divided into two parts. Trade Marks registered in the more superior Part A of the Register became immune to invalidity challenge after seven years unless the registration was obtained by fraud or was deceptive at the time of filing. As a result of the Constitutional protection afforded to Trade Marks as property rights, all former Part A registrations maintained their immunity from invalidity challenge when the 1996 Act became law. The effect of this is significant because it means that an Irish or Irish based applicant applying for an International (Madrid Protocol) registration could, where appropriate, base their international application on an Irish pre-1996 registration to prevent the resulting international registration being centrally attacked during its first five years (’Dependency Period’). Also, unless CTM owners are domiciled or have an establishment within the European Union, it is not possible for them to use their CTMs as the basis of an International registration. Placing CTMs in an Irish holding company overcomes this obstacle. Ireland has a flexible immigration policy to allow for relocation of non-EU IP management teams. As Ireland is a Member State of European Union, any EU national is entitled to live and work there without the need for visas or indeed residency registration. Even for countries outside the European Union, Ireland operates a flexible ‘Intra Company Transfer Employment’ permit system which allows for the transfer of non EU senior management, key personnel and even trainees. The advantage of this flexible system for large IP management teams based outside of the European Union cannot be understated. By using the ’Intra Transfer Employment’ permit, it should be possible to transfer an entire IP management team from outside the European Union to Ireland with relative ease. Ireland has a highly educated workforce and one of the most respected legal education systems in the world. For those businesses wishing to recruit Irish nationals to their IP management teams, Ireland is the 10th most educated country in the world, according to the OECD. Furthermore, in a European Commission study on third level education, Ireland produced the ‘most highly employable graduates in the world’. Irish Unit Labour costs have also been falling since 2012 and are now some of the most competitive in the European Union. The IMD World Competitiveness Yearbook 2014 ranked Ireland No.1 for availability of skilled labour. All this makes Ireland a particularly attractive location to build up an IP management team. The legal profession itself in Ireland will shortly undergo radical change with the expected passing of Legal Services Regulation Bill 2014. All lawyers in Ireland will be regulated by a single authority, the Legal Services Regulation Authority. Significantly, all lawyers (Barristers and Solicitors) will have easier and automatic rights of audience before Irish courts; at present only barristers who are members of the Law Library and a small number of solicitors tend to advocate before the higher courts. In effect, legal services will become more streamlined, accessible and efficient. It is also expected that the Legal Services Regulation Bill will allow for the radical liberalisation of Ireland’s legal education system. Notwithstanding the imminent changes, the existing and rigorous training and examination system for those wishing to qualify as Irish Registered Patent Attorneys and Registered Trade Mark Attorneys is to remain in place and will ensure that Irish Intellectual Property Attorneys remain some of the best qualified in the European Union. 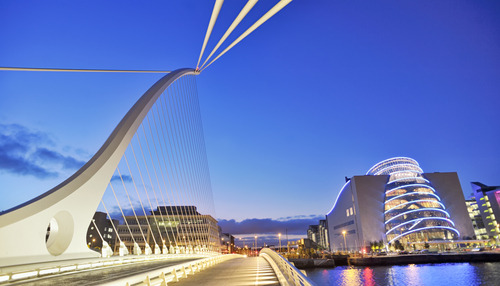 Ireland is recognised by Forbes® as the best place to do business. In 2013, the leading business publication Forbes® ranked Ireland as the best place to do business in the world. This finding is not surprising when you consider that 9 out 10 of the world’s Global Software and Pharmaceutical companies have located in Ireland where companies like Google® and Facebook® now have their European headquarters. Notably, any document transferring Intellectual Property to a newly incorporated Irish IP holding company will be exempt from Stamp Duty tax. Further tapered corporate tax relief may be gained in respect of costs incurred in transferring IP rights to the new Irish entity. The unique combination of factors highlighted above makes Ireland one of the best locations in the world to locate, manage and exploit Intellectual Property rights. This is particularly so for IP rich owning companies based in other Common law countries throughout the world. 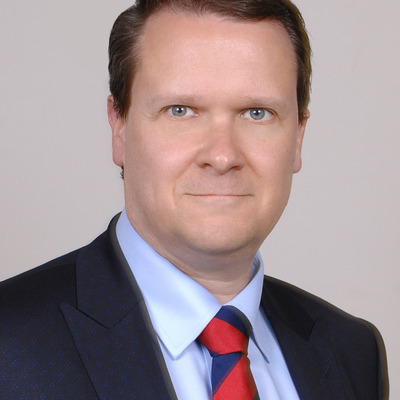 With over 20 years experience in Soft IP law, including a period gained in-house as a Trademark advisor to an Intellectual Property Holding company in a low tax jurisdiction, Niall Tierney has extensive expertise in advising and assisting businesses in how to protect, manage, enforce and exploit Soft IP rights.